NO Tricks, ALL Treats! Check out LEGO's BUY 1 TAKE 1 PROMO on any LEGO boxed sets only on October 14, 2018 in ALL LEGO Certified Stores Nationwide! For every LEGO boxed set purchased, get a FREE LEGO boxed set of equal or lesser value! 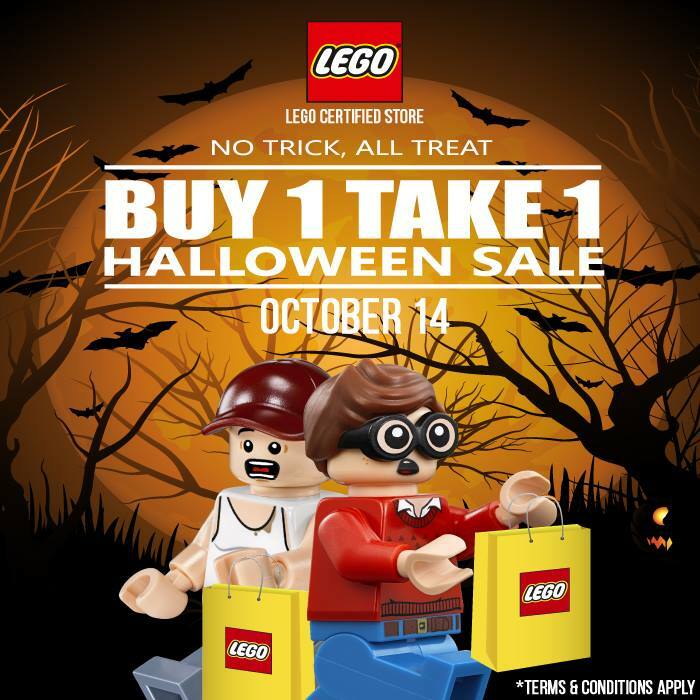 LEGO's B1T1 Promo excludes the ff: Harry Potter/Fantastic Beasts sets/minifigures/BrickHeadz, M&Ps, D2Cs, LED lights, Watches & Clocks, Storage Boxes, Minifigures, Brickxit and Bucket Campaign sets.